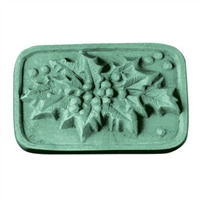 Featuring two holiday inspired guest soap mold designs: a chiseled pinecone and a perfect poinsettia! 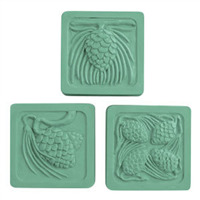 Both create beautifully detailed soaps for the holidays! 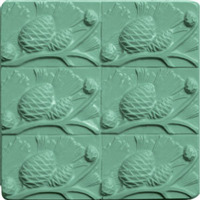 Bar Depth: 1" Bar Length: 2.4"
"How many ounces does each mold hold? And, how many of each pattern are in one offer? Thanks!" 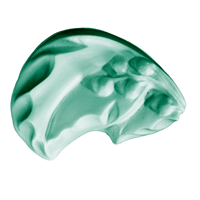 This mold comes with five cavities in one offer. Two cavities are pincones and the other three are poinsettas. Each soap cavity can hold approximately 1.5 ounces of soap.